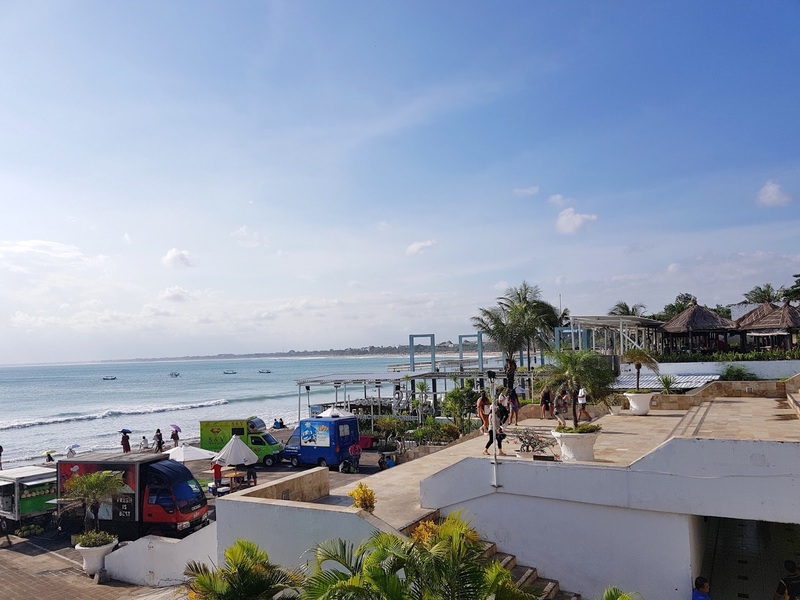 On the third and last day of our trip to Bali, our itinerary was pretty simple-- visit Waterbom Bali (Waterpark) and Uluwatu Temple. It rained so hard that morning, it took us almost an hour to get to Waterbom! We were so near and yet the cars in front of us were hardly moving. That was when we decided to wade in knee-deep floodwater-- our adventure already started even when we haven't arrived yet in our first destination! I loved Waterbom! The place was super chill, the slides were fun (and didn't make you dizzy unlike slides in other waterparks). I tried all the slides, including the Smashdown 2.0, where you enter a capsule 26 meters up, wait for the countdown, then have the floor drop from underneath you! I felt so scared while waiting for my turn, and even considered backing out! But I saw kids around 10 years old waiting in line without any trace of fear and that instantly became my source of motivation. Lol. If they could do it, why couldn't I? I put on my brave face until it was my turn and was already inside the capsule and could no longer back out. A great sense of accomplishment washed over me when I got off the slide. I felt invincible! Hahaha. Too bad I didn't have pictures. Would I do it again? Definitely! Still feeling the adrenaline from the water slides, I couldn't believe it was time to go. We needed to hurry because we still had to catch the sunset at Uluwatu Temple. We arrived just in time, if we had arrived 10 minutes later, we would miss it. 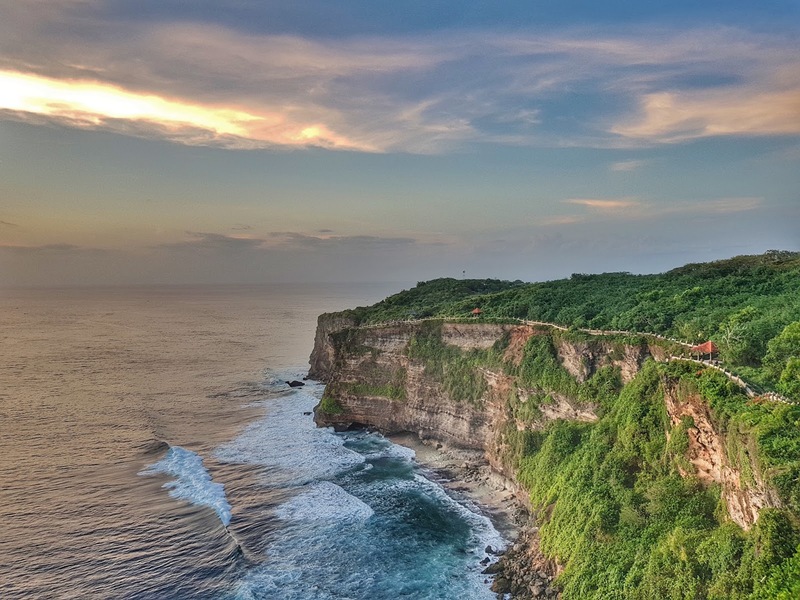 Aside from the wonderful views, another thing to love about Uluwatu was the abundance of monkeys! I love monkeys and I even had a personal encounter with one of them! On our way back to the car, I felt a weight on my slipper, when I turned to look, a huge monkey was trying to get my slipper off my feet! I refused to let go (because those slippers were new lol), so I got really scared that it would try to attack me! I asked help from Ryan and his aunt and they shooed it away. Whew, slipper saved! After sunset, we visited some outlet stores in Uluwatu area, mostly selling swimwear brands like Roxy, Quicksilver, Billabong, Rip Curl, and dropped by a popular souvenir shop called Krisna for some last minute shopping.